As previously reported a new coffee table book about Bauhaus by Kevin Haskins will be released early next year. 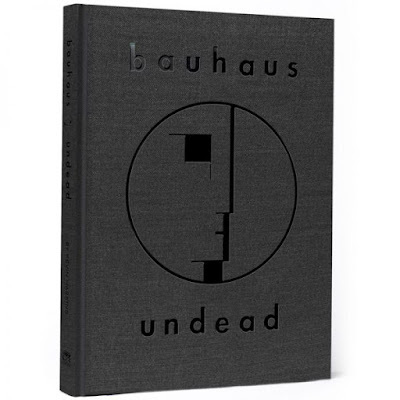 Bauhaus - Undead: The Visual History and Legacy of Bauhaus chronicles the pioneering goth band's visual journey from 1979 through their reunion in 1998. The 315 page hardcover book includes previously unpublished photos, a delicious array of memorabilia (handwritten lyrics, tour itineraries, set lists, ticket stubs, band flyers, etc), a Bauhaus comic strip, and personal stories/commentary from Haskins. In celebration of the upcoming release Cleopatra Records is holding a Facebook live event tomorrow (December 12th) featuring Kevin Haskins. Haskins will be signing copies of the book and answering questions starting at 2pm ET (11am PT) on the Cleopatra FB page here. UPDATE (12/12): During today's event Haskins signed copies of the book and revealed a bit about how things came together: over the years he collected Bauhaus press clippings, flyers, artwork, doodles, tour schedules/recording schedules, etc, and most of the material included in the book comes from his archive, though friends and fans provided some material he couldn't otherwise locate. He also revealed that fans will be able to see the humorous side of Bauhaus. The archive of the live chat is available to view below - it starts off a bit slow, but eventually Haskins answers questions and flips through the book to give fans an idea of how packed with awesomeness Bauhaus Undead is. FYI Haskins also said it's possible he'll do a Love And Rockets memorabilia book eventually though he has less material. He says he'll consider putting one together down the road, though says Poptone is currently occupying most of his time. 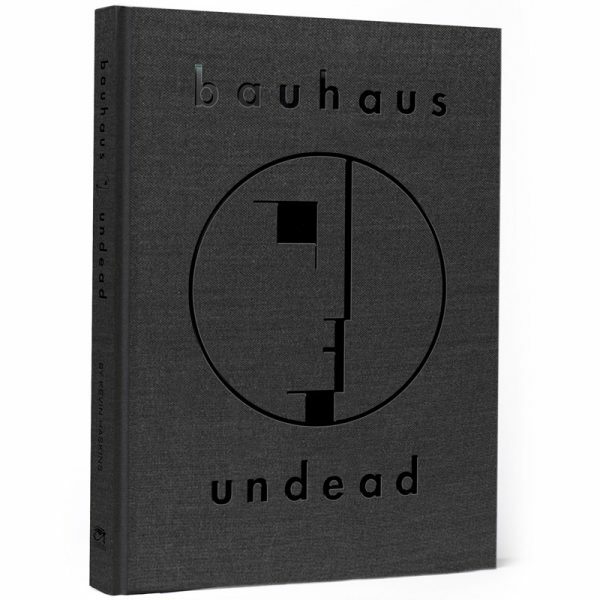 Bauhaus - Undead: The Visual History and Legacy of Bauhaus is available to pre-order here.